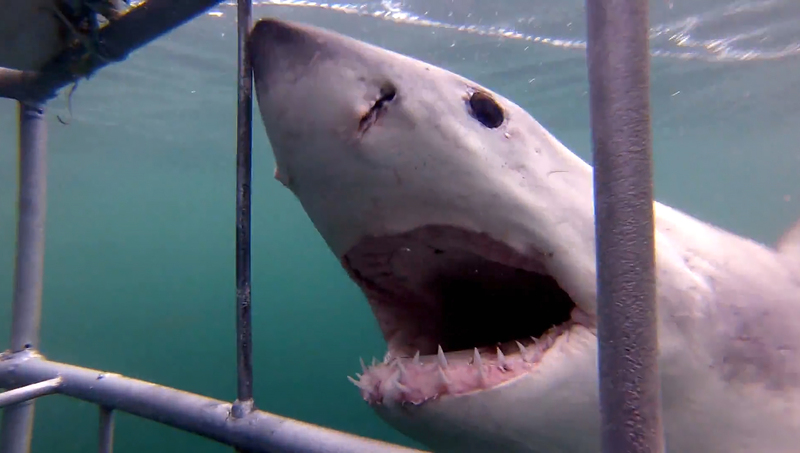 Shot entirely by our Captain, shark legend Rob Lawrence, this journey under the waterline around the famous Seal Island will take you to a world inhabited by the famous flying sharks of False Bay. A longer version of the Airjaws Tour promo showing you much more of the days events and shark interaction. 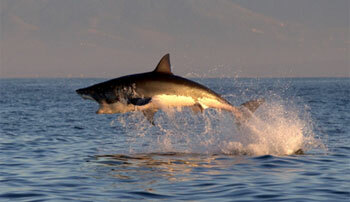 Here is a video on the breaching behaviour of the great white sharks of False Bay. All footage on this video was shot from our boat by Clarke Fullerton, a guest on our trip. Thank you Clarke! 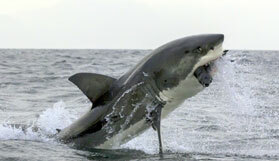 The AIRJAWS tour is the most popular trip at African Shark Eco Charters. It's approx 5.5hrs long trip and ventures out to Seal Island in False Bay, South Africa. It is a combination trip of shark breaching and cage diving in one trip. True passion is when you take what you love and turn it into your work. This is how African Shark Eco-Charters was born...and we want to share this with you. Enjoy the magic of False Bay, from sunrise to sunset, from sharks to dolphins to whales, and join us to share the beauty of the natural world. Take shark legend Rob Lawrence and Divemaster Gary Carstens, add a bunch of GoPro cameras - and head out to False Bay, South Africa with the crew of African Shark Eco-Charters, to see the magnificent Great White Shark in it's natural environment. 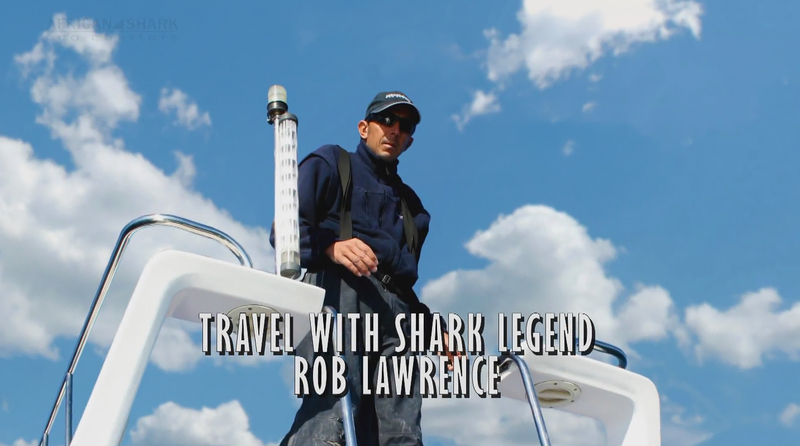 Here it is – your very first look at our new feature documentary GREAT WHITE SHARK LEGEND (currently in post-production). Sit back, turn up the volume, and enter the world of the Great White Shark like never before. The full trailer for our documentary, Great White Shark Legend, which had it’s premiere as an official selection for the 40Fathoms Film Festival. This stunning breach series was captured by Rob during one of our Airjaws trips and shows the beauty and power of the Great White Shark in all it's glory. A collection of photo's from African Shark Eco-Charters, taken on our breaching tours and shark cage diving trips as well as the surrounding False Bay and Cape areas.